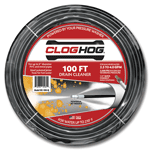 This week Clog Hog launched new Residential and Commercial Needle Nose™ Drain Cleaners, with ultra-compact nozzle ends that are up to 70% more compact than you'll find on conventional poly hose sewer jetters. The compact nozzle and high-strength steel braided sewer jetter hose make it easier to clean more sizes and types of drains. 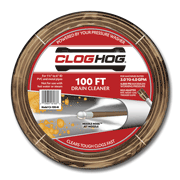 Today Clog Hog introduced new Drain Cleaning Tips pages, loaded with helpful advice to solve all kinds of indoor and outdoor drain problems. Here you'll see tips about the simplest, lowest-cost drain openers that you can use for different plumbing projects. 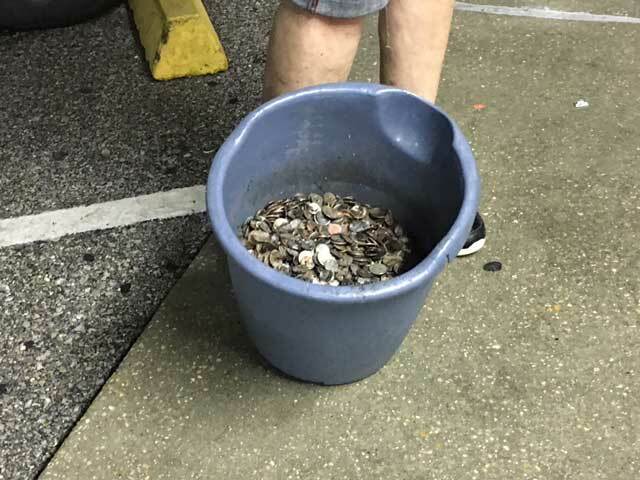 Today we published this new review from customer Wasco Coin Laundry, who flushed a big bucket of coins from their commercial drains using a Clog Hog sewer jetter. The customer reports that they retrieved more than 30 lbs. of coins, totaling over $300. That's one way to really save money with a sewer jetter! 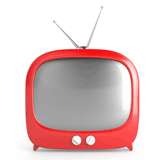 This month Clog Hog premiers our new radio ad that will air in select markets nationwide. A special thanks to our creative sound designer Sam "Whips" Allison, and to his talented team of musicians here in Austin. Send us a note to let us know if you like the new sound. Clog Hog has joined the Better Business Bureau in support of the organization's efforts to foster honest and responsive relationships between businesses and consumers. You can click the BBB seal to see the organization's current business review of our store. This month we've redesigned our website to be easier on your eyes, regardless of whether you've got a desktop computer, tablet or smartphone. 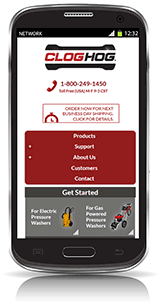 If you've got a smartphone or tablet, give our new responsive website a try using your favorite handheld device. This month we're introducing a new line of sewer jetters made especially for hot water pressure washers. from every Clog Hog drain cleaner. Here's a surprising story about how the staff at the Great Bend-Brit Spaugh Zoo eliminated an extra tough drain cleaning problem with the help of the Clog Hog drain cleaner. You can click these images to see enlarged photos of a black bear waiting for zoo staff to clear a pond drain, and an orange tiger cooling off in fresh pond water at the Zoo. Many thanks to the management and staff at the Zoo for sharing their story. Starting this month we're offering a lightweight storage reel to make it easier to roll up and store your Clog Hog drain cleaner after use. 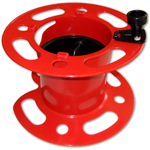 This reel is made in the USA from sturdy HDPE plastic so it's rustproof and easy to clean. This month we published our new illustrated Sewer Jetter Guide, filled with tips and information to make your drain cleaning job easier. You'll want to request your copy of this informative new guide today. This week the DIY Network premiers an episode of Cool Tools ("Extended Reach" #DCTL-904H) featuring the Clog Hog drain cleaner. 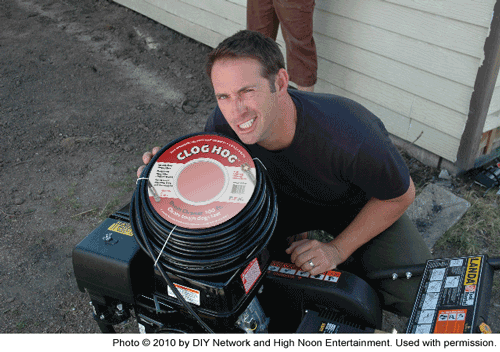 on the set of DIY Network's Disaster House with the Clog Hog drain cleaner. Watch for new episodes of Disaster House on Tuesday evenings this fall. A big thanks to the show's producers for sending us this photo. Our Sewer Jet Gazette blog has lots of great drain cleaning tips, but here's a new story that might surprise you. Check out the article "Why Sewer Jetting Can Fail" to learn why customers sometimes return their Clog Hog drain cleaners for a refund. Ever wondered how to clean a sewer jet nozzle? How to choose the right size of jetter hose? How to unclog a main sewer drain? 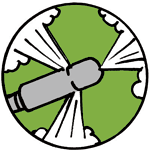 How long a sewer jetter nozzle lasts? 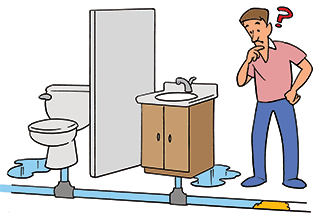 Answers to these questions and more are in our Blog, the Sewer Jet Gazette.